We’re willing to bet no one thought of these ideas when it comes to being a teacher at any school. In fact, in this day and age when email rules the world, and you can easily grade papers with ease, the fact is teachers might not even think about using any kind of custom branded sticky notes for anything. They’ve honestly been relegated to office supplies, and maybe libraries. But schools? We’re missing the big picture here. Let’s start with the fact that teachers have an enormous amount of papers and homework to grade, and it can get quite exhausting. What can a teacher do? Instead of constantly red marking F’s until you’re blue in the face, set of custom branded sticky notes with the appropriate comments and grades right on there! Saves time. Saves headaches. The fact is the teacher is a brand. Students remember the teacher, arguably more than they remember the school itself. So when you’re able to make it that much easier for your students to understand the feedback, the grades, and anything else you want written on the sticky note, that’s gravy. Response and improvement (if the student has to) will be almost instant. You can set up several versions of copy on those custom branded sticky notes, and grading becomes a breeze. Slap it on that term paper or essay, and you’re good to go. Have a version for “A” papers, another version for “B” papers, and so on and so forth! Talk about efficiency. And if that’s one thing teachers need, it’s that. BRAVA Marketing has so many different styles of sticky notes. So take your pick right here. Then just contact us immediately. Chances will be pretty good you’ll find exactly what you’re looking for. Chances will also be pretty good more students will be giving you apples at your desk on a daily basis. Hold up: don’t stop reading. Because while what you’re instantly thinking in that customized sticky notes don’t do a single thing to up your office culture in any way, let me elaborate a bit more on what I mean by customized — I don’t mean branding those sticky notes with the name of the business! Not at all. 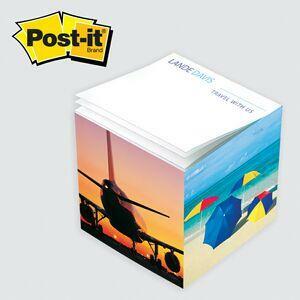 Instead Why Not Use Customized Sticky Notes Branded for ALL OF YOUR EMPLOYEES? Talk about employee morale. And efficiency. Sure, in this day and age the digital has made its footprint, but somehow, some way, sticky notes still stick on computer screens, whiteboards and desks with the tried-true method. The only thing barring sticky notes from being truly effective is that you always have to sign your first name so your respondent knows who’s messaging. Not that it’s a bad thing. But we kind of want to get those little pesky responsibilities out of the way. To give your employees true sense of ownership, there’s nothing better than using customized sticky notes branded with each and every one of their names. They end up having their own sticky notes — with their names already on it. And that changes the game when the office manager comes to your cubicle and asks if you need any more supplies. Instead of just asking for regular sticky notes. 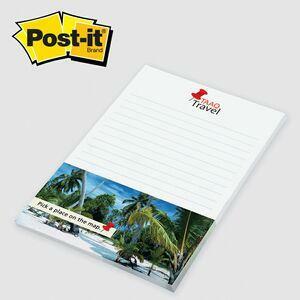 Ask for your sticky notes from BRAVA Marketing! Employee pride goes a long way. In fact, morale happens to be one of the biggest driving forces for success in the corporate world. After all, in the film “Office Space” that guy goes crazy over wanting his stapler back! Look, we’re not knocking Skype or Messenger. That’s for sure. But there’s just something so much more personal and “quick” about sticky notes. Check out the designs we have right here. And as always, contact us when you’ve found your ideal product. Make a note of it. A sticky note, in fact.